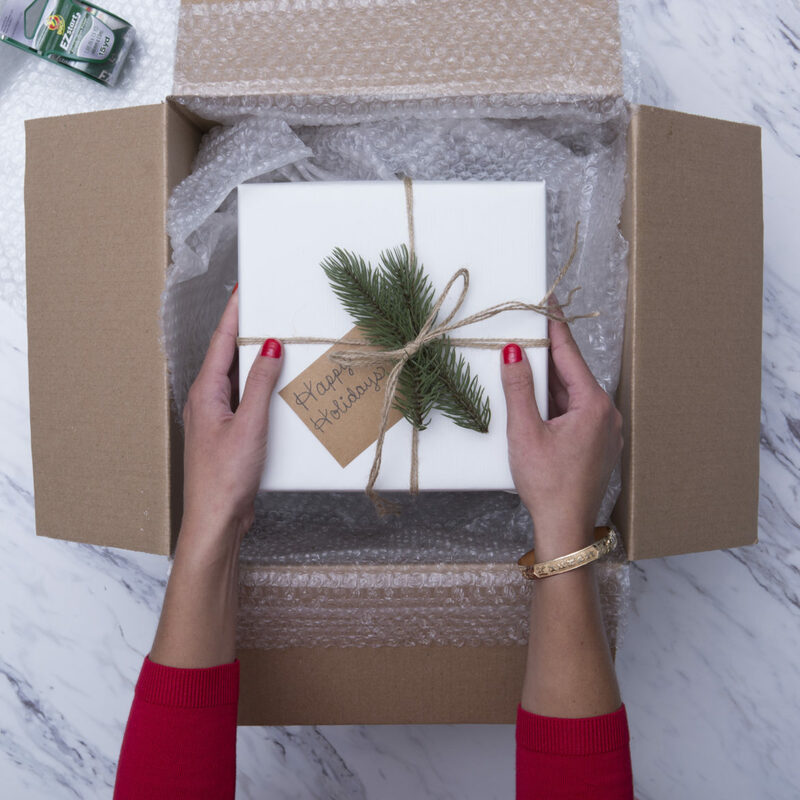 Check out 4 ways to make holiday shipping easy. 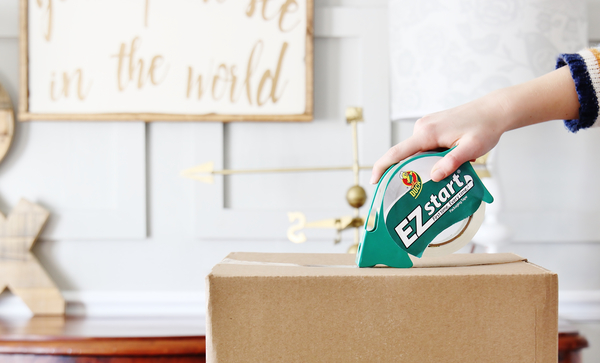 Here’s a shocker: you’re not the only one with gifts to ship this holiday. Each year, mail carriers carry, well … a lot of packages. Like, a scary amount. So it’s fair to say that when your few boxes are added to those untold millions of other boxes, there’s a chance they may not get quite the amount of TLC that you’d expect. But just follow these four holiday shipping rules, and most of the time your gifts will arrive safe and sound. Don’t just grab any old cardboard box that’s been lying around the house. When it comes to shipping, the box matters. A lot. You need firm corners and sturdy sides. Re-using old boxes that have made several trips is an invitation to have the contents mashed into an unrecognizable pulp. Dented corners, tears, small holes, and worn flaps are bad. And if you must reuse a box, be sure to remove ALL signs of any previous shipping labels. Remember: these days, packages are checked in with laser barcode scanners. If the computer misreads a partial code, your thoughtful gift could be on its way to Tierra del Fuego. And no one is even sure if that’s even a real place. Whatever you’re sending, you need to cover it in layer after layer of soft, cushiony Duck Brand Bubble Wrap. Be sure to fill in any odd angles or open spaces in the box with this bubble wrap to keep shifting and movement to a minimum. It’s also great for absorbing any extra blows that the package might take. If your gift is especially fragile (I’m looking at you, glass snow globe), you should consider packing in carefully into one box, and then placing that box into another box, that’s also filled with a luxuriant layer of Duck Brand Bubble Wrap. 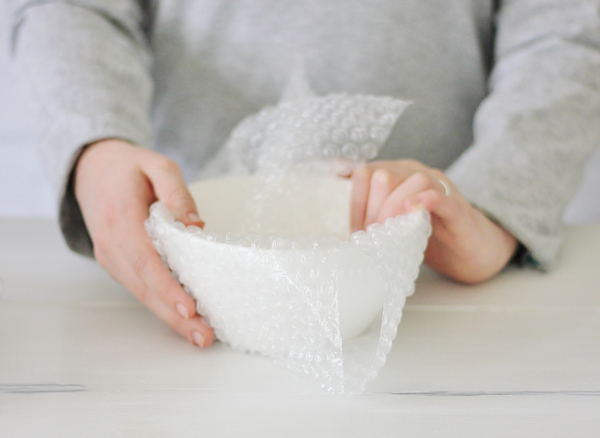 Your gift recipient may even consider all that extra bubble wrap as a bonus – it’s so fun to pop between your fingers! Select a packaging tape you can count on. If your tape splits, tears, or un-sticks in transit, the contents of your package are doomed. Making sure you have the right packaging tape ensures whatever is inside will get to where it needs to be. In one piece. Like we said, shipping companies will be dealing with a mind-boggling number of packages. So it’s not like shipping something over the summer; shipping delays are a fact of the holiday season. Wait til the last minute, and you’ll find that you’ve sent someone a nice present for New Years. Check your carrier’s recommended shipping dates to ensure that your packages arrive on time. Last year, the United States Postal Service (USPS) said that packages needed to be shipped no later than December 15th to be sure they arrived by Christmas. Of course, you can always pony up for express shipping … but the holidays are expensive enough as it is. Watch this instructional video on how to load your Duck® MAX brand packaging tape gun.